Welcome to HomeAway, the new home of Owners Direct! From villas to cottages, find homes that match you. Want to know more? Holidaymakers, click here. Or, if you're one of our partners, click here. 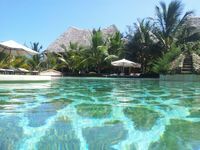 KIVULI VILLAS IS LOCATED IN THE SOUTH COAST IT IS OPPOSITE THE LANTANA HOTEL. 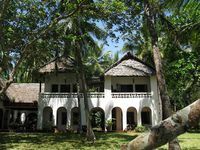 Property 17: KIVULI VILLAS IS LOCATED IN THE SOUTH COAST IT IS OPPOSITE THE LANTANA HOTEL. Gorgeous home in a secure gated community with Pool, kids park. Free WiFi. Property 23: Gorgeous home in a secure gated community with Pool, kids park. Free WiFi. Bungalow typical African in a residential area just 200 meters from the sea. Property 28: Bungalow typical African in a residential area just 200 meters from the sea. 3 Bedrooms of Complete Tranquility! Property 29: 3 Bedrooms of Complete Tranquility! Studio Room 308 with a Breath taking view of Diani Beach. Property 34: Studio Room 308 with a Breath taking view of Diani Beach. Charming Beachlet that is clean, airy and in a perfect location. Property 36: Charming Beachlet that is clean, airy and in a perfect location. -They are called Abakenda Apartments. Property 38: -They are called Abakenda Apartments. 4 B/R, three bath, quiet town house off Naivasha road, close to the ILRI campus. Property 39: 4 B/R, three bath, quiet town house off Naivasha road, close to the ILRI campus. Property 48: Entire 1 bedroom apartment in Kileleshwa. Old Coast house filled with simplicity and charm while cared for by wonderful house staff. It was such a pleasure to spend time in a true Kenya 'coast' house with its spaciousness and simplicity with all you need without being fussy - all reminiscent of an earlier era. It was a joy to be there and a tonic for the spirit to relax in the garden looking out on the Indian Ocean and the fishermen quietly going about their business - having seen many of the world's tropical coast lines none in my view are a patch on those of the east African coast with its palms, casuarina trees and constant monsoon breeze. Congratulations on keeping Jinchini's character, charm and comfort. Kassim, Suleiman, Omari and the 'askaris' looked after us all with great care, thoughtfulness and diligence. They could not have done more to make us more welcome and cared for. We felt extremely privileged. Omari&rsquo;s cooking excelled and it was a delight to have fresh Indian Ocean fish every day!. We had a lovely week's stay in Gino's flat, it is nicely decorated and the pool works especially well for kids as it has a big shallow bit. The flat is adjacent to the hotel, but to use their pools / wifi etc you need to pay like any other outside guest. It is quite a bit out of town, so sometimes it was a bit lengthy to try and find a taxi to go somewhere, but staff was always helpful. Contact with Gino was prompt, and a maid came every day to rough clean although we never knew when as it varied day to day, she did an ok job. Sheets and towels were changed regularly which was nice.